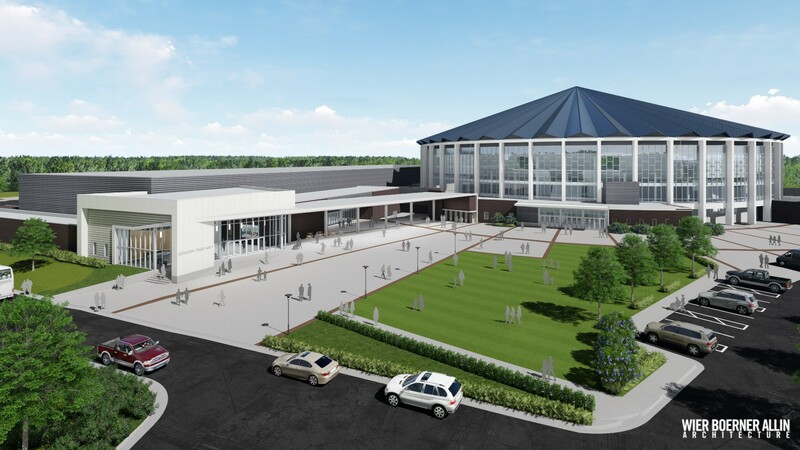 The new Mississippi Trade Mart at the State Fair Grounds in Jackson is designed to attach to the existing Mississippi Coliseum, expanding the functionality and flexibility of both facilities. 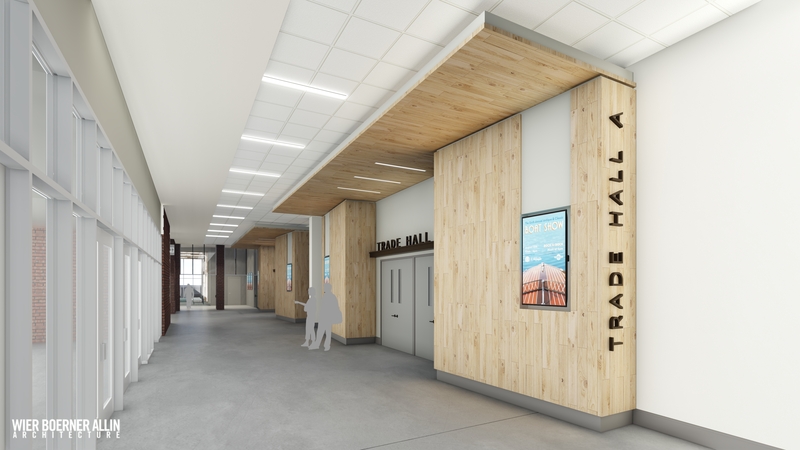 The three trade halls can be configured to provide a seamless connection to the Coliseum’s arena floor, allowing for larger trade shows and events than possible in the current facility. 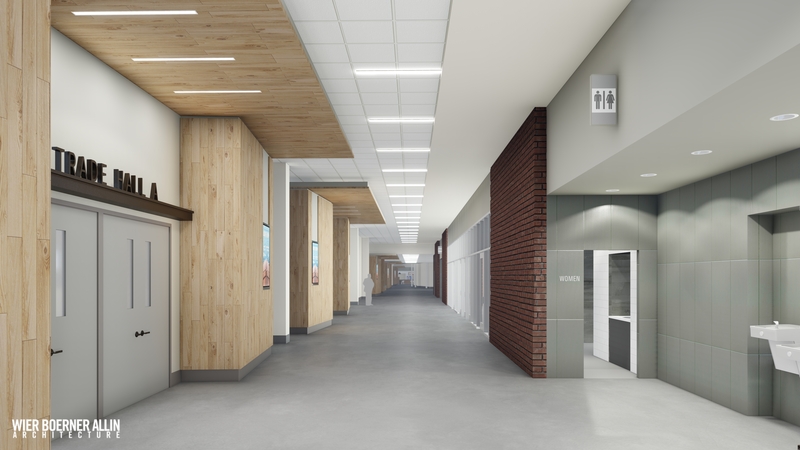 A “front porch” across the main facade creates a generous entry into the facility while also providing a large, covered space for exterior events and opens onto a new plaza that is shared with the Coliseum. 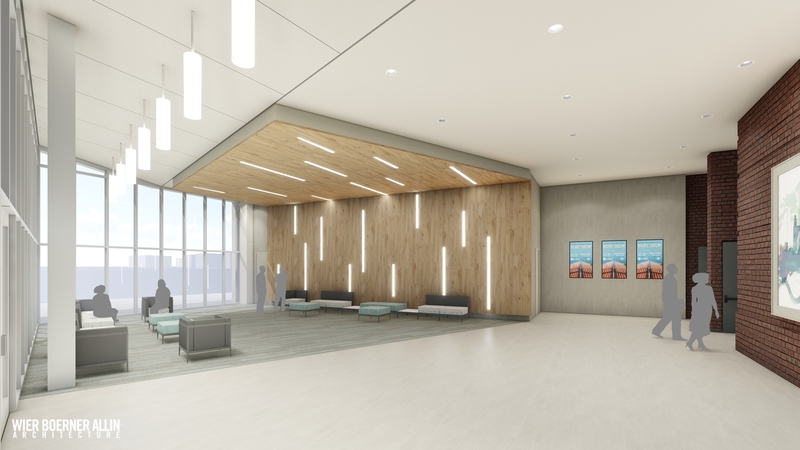 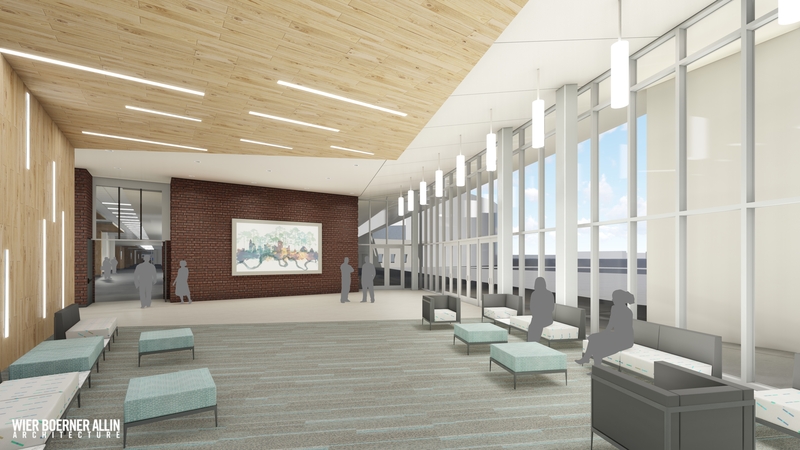 The lobby features two cafes as well as a reception area for smaller events.